I was up early in anticipation of Peter Pan Day…PETER PAN DAY!!!!! Peter Pan my man! So what is Peter Pan Day you might ask? Well…it’s a day full of adventure! My husband had told me months before that there was a Broadway show of Peter Pan coming to Vancouver and he wanted to take me. You see…I ruin all of his surprises, (it’s that intuitive brain of mine) and he wanted to let me know before I found out it was coming. So to start, I want to give him FULL credit for making this glorious day happen. Anywho! 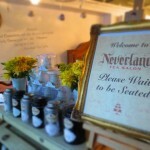 Neverland Tea Salon!!! 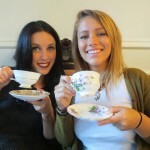 We didn’t realize that you needed reservations for this High Tea place. 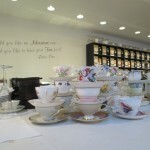 This was also the crazy windstorm day, so I’m sure the weather brought more people in for tea than usual. So we did have to kill a couple of hours before we could get a table. After some craft beer down the street at Calhouns (interesting experience) we got our table and the adventure began! We didn’t get High Tea, it’s $30/person and you get crazy amounts of sandwiches, pastries and unlimited tea. Not the day for it, but I’d love to go back one day for that. 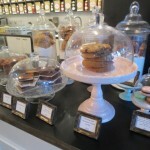 Just wasn’t ready to get full up on goodies and pastries. 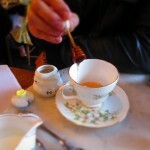 We planned to try their mar-TEA-nis or Tipsy Teas, but rotating 4 tea pots got us pretty full. 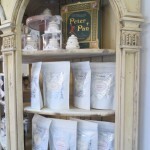 We ended up buying 100g of the Take Me To Neverland tea which is their signature blend of peppermint and chocolate. YUM! 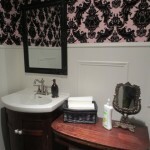 This was also where Camille found out she was going to Peter Pan that night and her reaction was priceless! Before we headed out to see the show, I was a total tourist and took a bunch of photos to remember the experience. 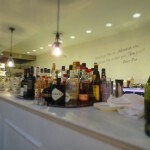 I will definitely be back! 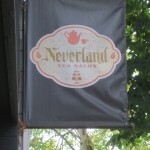 If you like tea and are a Peter Pan fan, definitely try out NEVERLAND TEA SALON in Vancouver!